Martin Luther King Jr. Malcolm X. Muhammad Ali. When you think of African American history, you think of its heroes—individuals endowed with courage and strength who are celebrated for their bold exploits and nobility of purpose. But what of black villains? Villains, just as much as heroes, have helped define the black experience. Ranging from black slaveholders and frontier outlaws to serial killers and gangsta rappers, Hoodlums examines the pivotal role of black villains in American society and popular culture. Here, William L. Van Deburg offers the most extensive treatment to date of the black badman and the challenges that this figure has posed for race relations in America. He first explores the evolution of this problematic racial stereotype in the literature of the early Republic—documents in which the enslavement of African Americans was justified through exegetical claims. Van Deburg then probes antebellum slave laws, minstrel shows, and the works of proslavery polemicists to consider how whites conceptualized blacks as members of an inferior and dangerous race. Turning to key works by blacks themselves, from the writings of Frederick Douglass and W. E. B. Du Bois to classic blaxploitation films like Black Caesar and The Mack, Van Deburg demonstrates how African Americans have combated such negative stereotypes and reconceptualized the idea of the badman through stories of social bandits—controversial individuals vilified by whites for their proclivity toward evil, but revered in the black community as necessarily insurgent and revolutionary. Ultimately, Van Deburg brings his story up-to-date with discussions of prison and hip-hop culture, urban rioting, gang warfare, and black-on-black crime. What results is a work of remarkable virtuosity—a nuanced history that calls for both whites and blacks to rethink received wisdom on the nature and prevalence of black villainy. "Drawing from a deep well of resources and historical figures, William L. Van Deburg comes up with an absorbing portrait of black villainy in America’s popular mythos, art, and everyday life. The line between ’bad blacks’ and ’baadd blacks’ is truly fine and reveals much about the great American dilemma, race. From Nat Turner to hip-hop’s own band of hell raisers, Hoodlums takes the reader on an incredible historical and analytical passage that is sure to take us all a long way in better understanding the complex configurations marking black culture, performance, and politics. Hoodlums shows us why black villains, in their own bombastic and sometimes tragic way, are just as important as black heroes in the struggle for racial justice, equality, and, believe it or not, peace." "This book addresses a fascinating topic. It should interest sociologists working in the fields of social deviance, race relations, or cultural sociology." 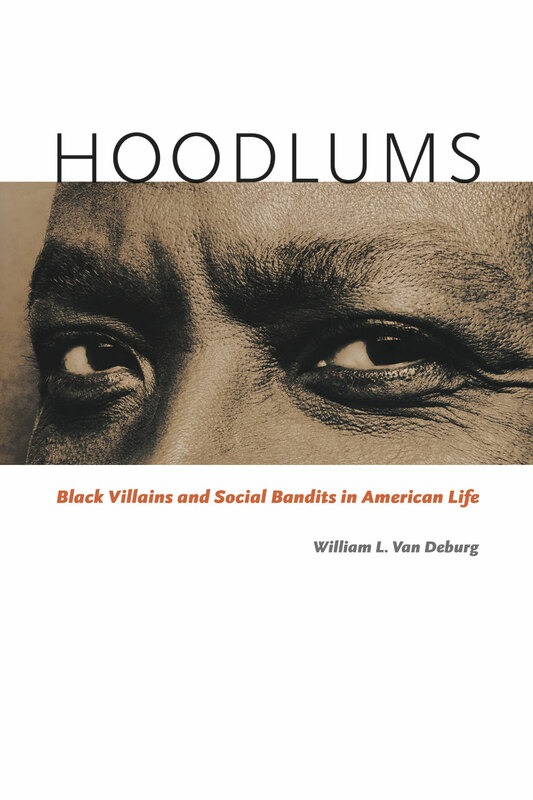 "Hoodlums serves as a timely and important meditation on racialized notions of villainy in American culture. . . . Van Deburg’s weaving of antebellum and postbellum conceptions of white and black social banditry and villainy within both the Euro-American and African American communities is brilliantly written." "[The book] asks black communities to be critical of representational strategies that have long been held as a means of survival. . . . In the end, the black villain becomes a type that hinders equitable race relations and black communal interests."